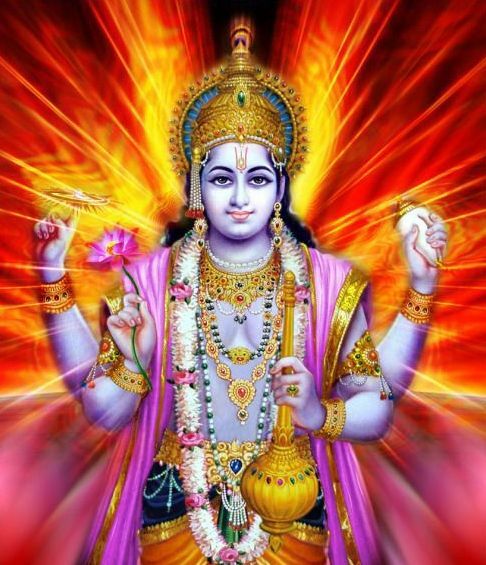 Indira Ekadasi is a one of the auspicious fasting days of Hindus that falls on the ‘Ekadasi ’ (11th day) of the Krishna Paksha (the wanning phase of moon) during the Hindu month of ‘Ashwin’. This corresponds to the month of September to October according to the Gregorian calendar. 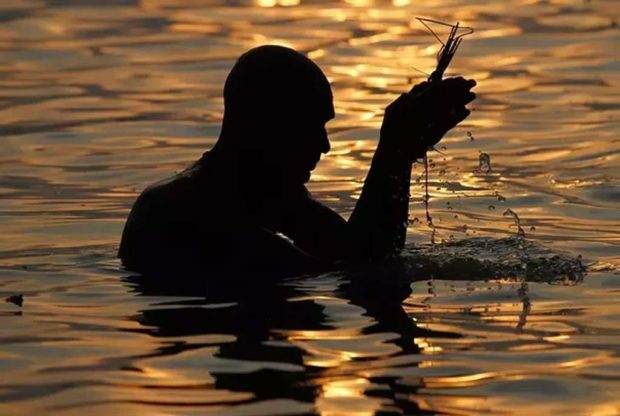 As Indira Ekadasi falls in Pitru Paksha, the fortnight dedicated to ancestors, it is also referred as ‘Ekadasi Shradh’. On Indira Ekadasi , the observer of this vrat performs the rites of Shradh. The devotees must observe the vrat by following the complete rituals to get maximum benefits. On this day an idol of Lord Vishnu is worshipped with gaiety and fervour. The devotees offer Tulsi leaves, flowers, and fruits along with other puja essentials to the idol. One must also visit any Lord Vishnu temple on this day. The vrat of the Indira Ekadasi starts a day before, that is, on ‘dashami’ (10th day). 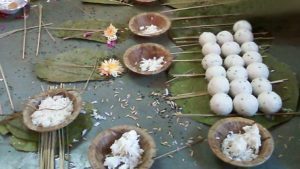 On dashami the rituals for dead ancestors are performed and prayer is offered. 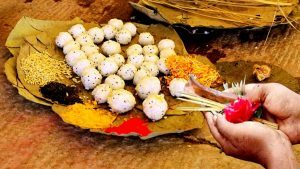 The meal is taken before sunrise only as on Ekadasi day, the devotees observe a strict fast. The vrat begins at sunrise and ends on the next day, ‘dwadashi’ after worshipping Lord Vishnu. As it falls in the Pitru Paksha day, food is offered to priests and cows, before eating. On this day, special rituals and prayers are performed in the memory of the dead ancestors. The afternoon time is considered to be favourable for praying to the forefathers. Indira Ekadasi vrat blesses the person with prosperity and richness. It also washes away all the sins and also free their forefathers from the ill-effects of the sins they committed in their lifetime. Therefore an individual, who desires to free their ancestors from all offence and ultimately offer them peace, should observe the Indira Ekadasi vrat with full dedication. It has been stated in the Hindu scriptures that by keeping the Indira Ekadasi vrat, the devotees get the same results as received by performing the ‘Ashwamedha Yagya’. This marks the importance of this ekadasi fast over other Ekadasi vrat.